Robert, Senior Director for The Blau & Berg Company is responsible for leasing and selling several types of commercial property. 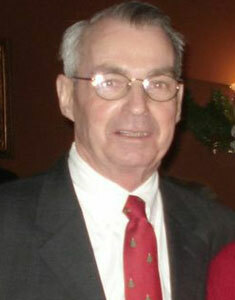 He has been with The Blau & Berg Company since November 1985. He has skillfully handled projects from the 1,000,000-SF Singer complex in Elizabeth, NJ, to the 42,700-SF warehouse of James River Corporation in Metuchen, NJ. Some of his notable clients also include Courtisan Carpets, Victory Van Lines, Baccarat Inc., and Otis Spunkmayer. SIOR Courses I and II Awarded CCIM (Certified Commercial Investment Member) designation. Robert is dedicated to high ethical standards of practice, marketing and advanced technology. His industry knowledge has been enhanced by years of experience in brokerage, appraisal and development. He has been consistently successful in marketing industrial, office and retail projects.